While the author does go into the sexual behaviors and practices of her patients, it isn't excessively voyeuristic. Fundamentally, the book is about how a person's experiences as a child, teenager, and young adult can affect someone to such a degree that they can lead subconsciously to undesirable behavior. The author also provides a fairly rational hypothesis as to why those subconscious "wounds" are frequently manifested sexually in men. 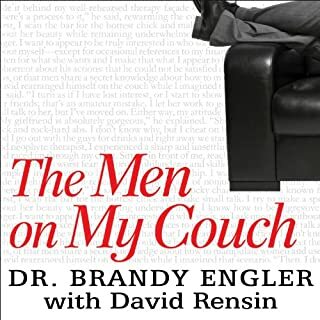 This is not one of those "all men are dogs" books, and I felt sympathy for some of the patients -- but not all of them. The book gave me a look at men's sexuality from a different angle.